This scene provides a view of the St. james' Building, and the northwestern corner of Hemming Park. 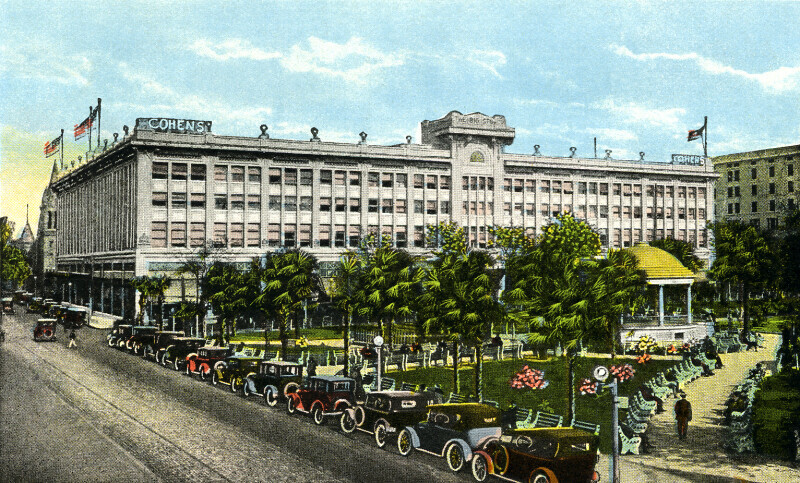 The St. James Building is four stories high, with signs on the roof advertising "Cohens'" department store. In the park, part of a band stand is visible; it has an octagonal base and domed roof. The St. James Building is on the National Register of Historic Places.